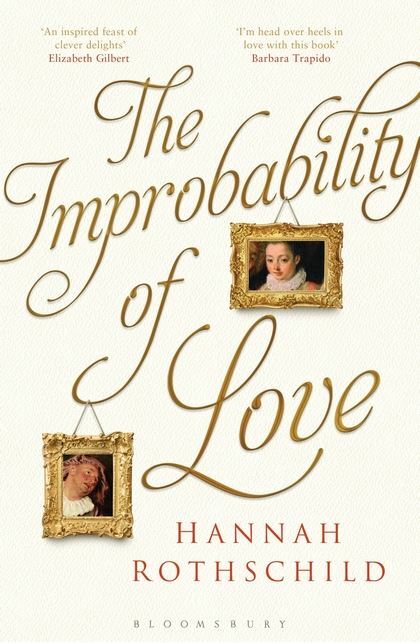 The Improbability of Love is a long, entertaining and sometimes surprisingly witty book about a lost masterpiece and the people adamant on possessing it. It employs multiple storylines and an elaborate narrative. The eventful plot – sometimes playful and light-hearted, sometimes veering to sentimentality – justifies the complex story line, but at first it is difficult to follow and remember, let alone distinguish from each other, some of the more eccentric characters from the art world described in the book. One of the main protagonists, Annie – who has been forced to embark on a new career when her marriage ended – buys a picture in a junk shop for her boyfriend. As her lover never turns up for his birthday supper so carefully planned and executed by Annie, she is stuck with the painting, not knowing that in fact it is the work of no other than Antoine Watteau, depicting the painter’s unrequited, passionate devotion to a young French actress in such a poignant way that no one who views it is left unaffected. In a twist of events, Annie ends up in the service of the reputable art dealer family, the Winklemans. Here, she eventually has the opportunity to rediscover herself and her passion for cooking, while, rather reluctantly, and independent of the Winklemans, decides to unearth the story of the painting. Parallel to Annie’s quest, the reader learns that the Winklemans are not quite what they seem to be. It is with Rebecca Winkleman’s trip to Berlin, upon which she discovers the true origin of her family that the seemingly diverging plots start to form a more coherent whole. All the protagonists are portrayed with the technique of third-person narration – the only exception is the painting itself, which tells its own tale employing first-person narration combined with playful cynicism. There are various narrative styles, each conveying a distinct atmosphere – the somewhat sentimental plot thread describing the story of long-suffering Annie and Jesse, her love-struck aid, the numerous story lines of the art historians, experts and collectors, verging on parody sometimes reminiscent of P. G. Wodehouse, and the almost thriller-like turn of events within the Winkleman family. Some episodes are quite hilarious (for instance the one showing the struggle of a museum to obtain public financial support, with a ministry official quite clueless about art). Others, especially the ones describing the feasts Annie prepares to complement and showcase various works of art, manage to convey passion for art and food, and are quite a delight to read. However, the narrative styles do not always result in a harmonious blend: even though the wittily constructed plots fit into each other seamlessly, the overall feel and focus is sometimes uneven. This is mostly due to the fact that the book would have benefited from more rigorous editing. Several sentences are overly long, heavy with adjectives and synonyms, rendering the text far less effectual than it could have been. Moreover, the characters are far from fully-rounded: some are clever parodies, while others, like Annie, her alcoholic mother Evie (responsible, naturally, for a childhood traumatized and wonderfully eccentric at the same time) and Jesse feel more like clichés than memorable characters the reader could possibly learn to deeply care about. Another rather unsettling thing about this book is that one feels as though it pretended to be more than it actually is: an entertaining, yet somewhat superficial read. However, the vast knowledge and insight the author has about the art world, and the wry humour she uses to depict it with its auctions, experts and collectors, as well as the manifest enthusiasm she has for art and art history, lend the book authenticity, and make it engaging in spite of its flaws.